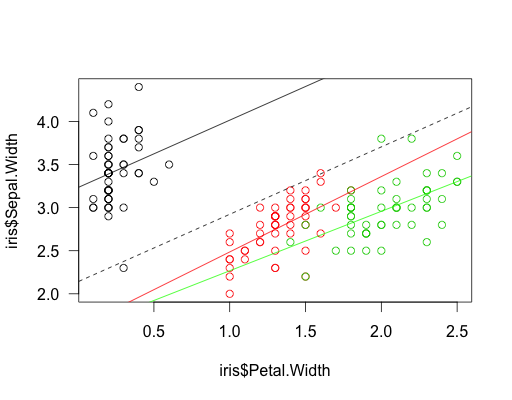 Is there a general relationship between petal and sepal width? and how it differs by species? The code is fast and dirty, I know I can be more consistent, and the plot can be nicer (clip the slopes, add SE’s), but will work to get the idea. & thanks to Lucas Garibaldi for sharing much of this knowledge with me. 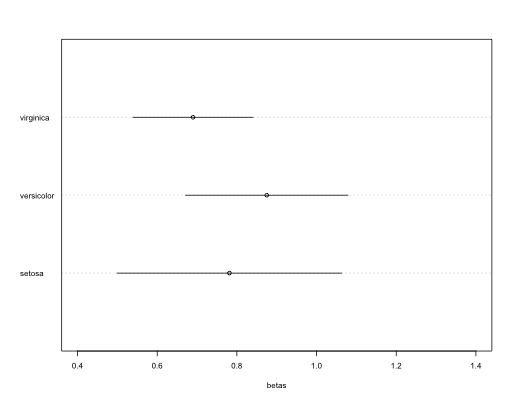 To leave a comment for the author, please follow the link and comment on their blog: Bartomeus lab » Rstats.